Lawn & Garden Chemicals are not safe for pets. Our beloved pets need Detoxapet™ pet health food because of their great risk of exposure to the chemicals slathered on lawns and flowerbeds via pesticides and herbicides. These chemicals are absorbed through the pads on their feet, through their fur, and through their noses. Dogs and cats are cleaning themselves all the time -any noxious substances on pads or fur go right into their bodies. With today’s increasingly toxic environment, our pets are coming down with serious and inexplicable health problems. We know pesticides are harmful to our children – and the same is true with our pets. Dogs are ingesting, inhaling and otherwise being exposed to toxic garden and lawn chemicals. In natural for our pet’s to love to play on the grass, and it’s even quite common for our pets to the eat grass while playing out in the yard, they may intend on eating the grass, or could be included in a bunch of sticks and other things that they chew on while outside. Without Detoxapet health pet food, the chemically treated grass that is consumed builds up in our pets. Pesticides are a broad spectrum toxic biocides, which by definition can hurt many other organisms that are not its intended species. Pesticides that are widely used to control unsightly weeds, as well as insects, etc., are quite toxic. These chemical pesticides are developed to eliminate and kill pests, and most of these biocides are also broad-spectrum . This means they are poisonous to a wide variety of living organisms, including our pets. Unfortunately, even the inert ingredients they use, which make up 50-to-90% of a pesticide formula may sometimes be more toxic than the product’s actual active ingredients. 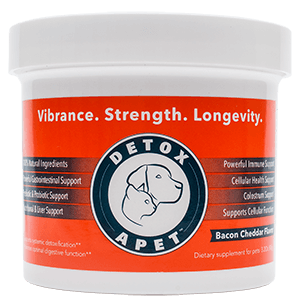 Detoxapet health pet food makes sense for anyone paying attention to today’s toxic environment. There are stories from all around country about the consequences of using lawn chemicals. Nearly 50 school children in Ohio recently developed symptoms of poisoning after herbicides were sprayed near their school. A professional skaters health was destroyed after exposure to pesticide is sprayed on a neighbors lawn, and her dog even died the same day. And even a noted soil scientist warns the US secretary of agriculture that the popular dandelion spray Roundup may cause serious health issues. Science confirms what these anecdotes are telling us. Study after study links the use of pesticides and herbicides to a wide array of cancers, nervous system disorders, and a number of illnesses. The National Coalition for Pesticide Free Lawns reports that out of thirty commonly used lawn pesticides, nineteen are linked with cancer, 13 are linked with birth defects, twenty one are linked to reproductive effects, six with liver or kidney damage, fifteen with neurotoxicity, and eleven with disruption of the endocrine or hormonal systems. These dangers are particularity acute for children and our pets, add to that the overwhelming scientific evidence of the damage synthetic fertilizers do to the environment, and we must ask, why do we continue to dump these products, some 50 thousand tons per year on our yards? This seems intolerable when considering that much safer alternatives exist to keep our lawns green and healthy. Safe lawn care products and practice may be more effective than the use of these synthetic chemicals care products. Organic lawn care also has a large positive impact on our environment as a whole, and is becoming increasing attractive when seeing the devastation chemical cause. So what does a pet owner need to know? Whether you care for your lawn yourself, or use a professional lawn care company, there are some basic things you need to do. Keeping your pet exercised, keep them free as much as possible of harmful toxic chemicals, and feeding them a healthy diet. But to be sure, your pet will sniff, lick and absorb chemicals if they’re playing on a chemically treated lawn.